Reach your customers, increase brand awareness, and engage with your audience with e-mail marketing for your jewelry retail company. Our team of strategists and designers will help you reap the benefits of a professionally executed e-mail marketing campaign, with high-quality strategy, design, deployment, list management, tracking, testing and more. E-mail marketing is a great way to connect with your current customers and to inform new customers about your products or services. 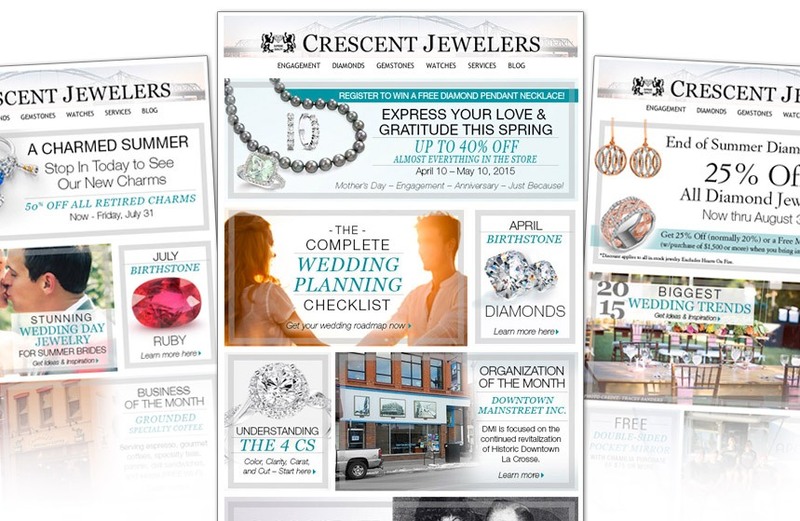 Do you think your jewelry business would benefit from e-mail marketing? Contact us today to talk about what we can do for you.